BUT once the base OS is installed and you come to the first post install screen (when it is now booting from the hard drive ) to change password and continue setup, the keyboard and mouse are again in-operable. My best guess is that the USB 3.0 drivers did not get installed to the hard drive. I tried starting over and reinstalling the OS but same result. The ISO creation per above KB post was clean and successful. No errors. I saw another Dell 'Faq' recommending disabling the USB 3.0 is system BIOS. On this model - brand new T330 - with current, up-to-date BIOS, there is no such BIOS setting/option. Looking for a solution. Had an older USB 2.0 PCI card, but the machine has no PCI slots. Thinking of trying a USB 2.0 PCIE card. What is bewildering is Dell sells the T330 with NO USB 2.0 compatibility - rendering installation of W2008R2 SP1 difficult and possibly impossible. NOTE: this OS is a Dell supported OS for the T330 I would not have purchased if it was not supposedly supported (I am restoring a DC with this OS because of a failed motherboard on a PE server). Solved: Bought a PCIE USB 2.0 card. It works. Model is Sonnet Allegro USB PCIe (2.0). If i had known, i would have just bought the thing and skipped the whole driver injection exercise. Going to try Method 2 whilst I wait for the card to arrive - but that is a real pain that the articles don't address that point. The other option I was going to try is basically upgrading the iDRAC to IDRAC Enterprise, but I'm waiting to hear back how much that costs. Did you have to install the drivers for the pci card on you T330 for it to work? Download Intel USB 3.0 eXtensible Host Controller Driver for Windows Server 2008 R2 from Dell support website for your server. Extract the zip file and copy the 8 driver files in the following directory to a flash drive. 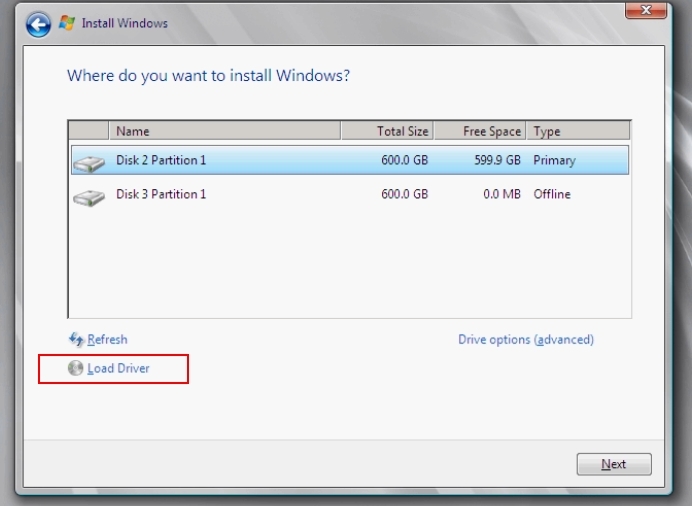 Just before installing OS use load driver option and browse to the flash drive and load the 2 usb 3.0 drivers from the flash drive. Then after OS installation USB 3.0 will be working. MIRSWASIF could you please make some printscreens as i cannot imagine how and were i should use option load driver before installing windows ?